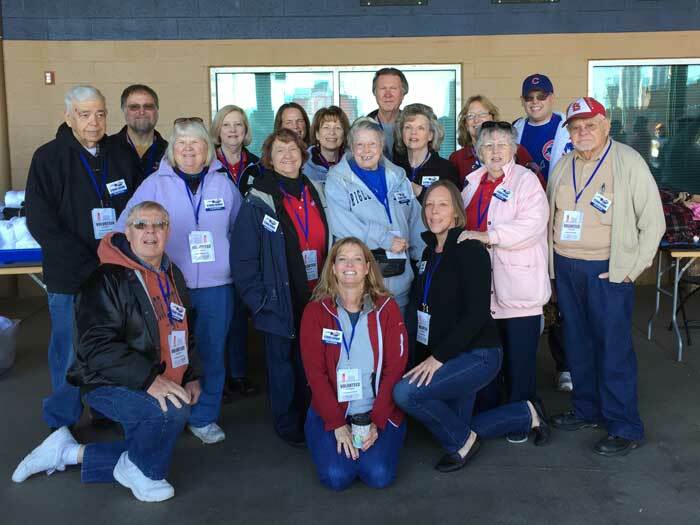 The Peoria Chapter awarded two Community Service Awards in 2017. 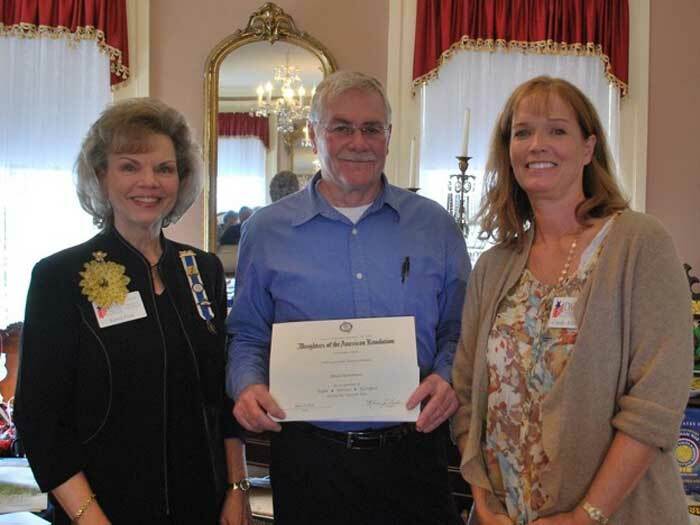 Bruce Brown, an active supporter of community events and guest speaker at Peoria Chapter’s Good Citizens Tea, was presented with a Community Service Award Certificate and pin. 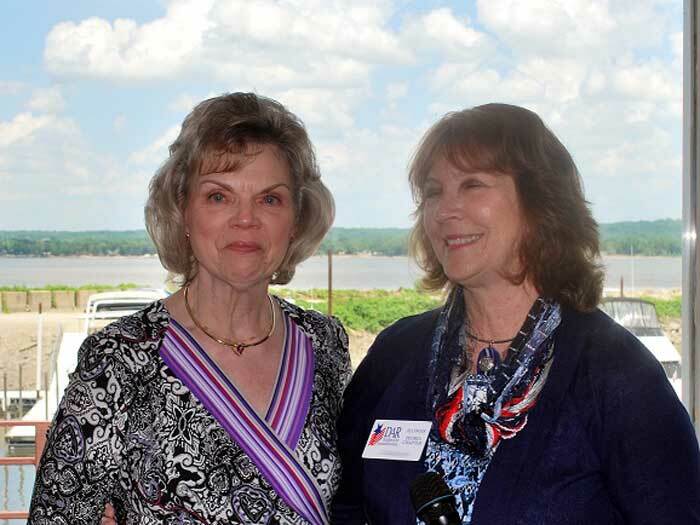 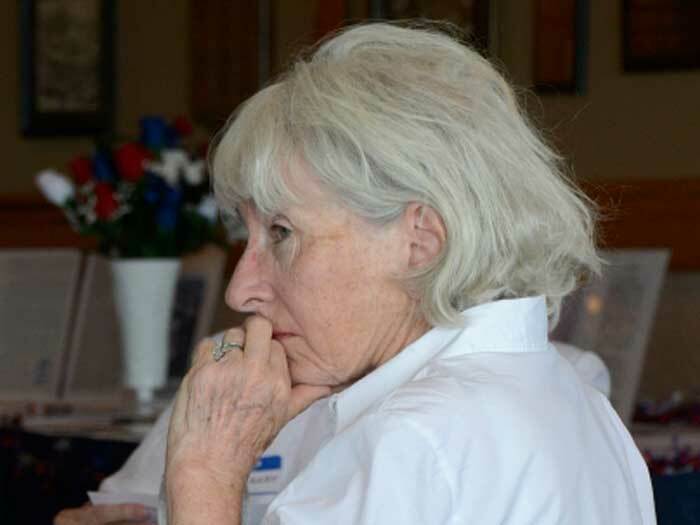 Linda Herron, house manager of Flanagan House, Peoria Chapter’s DAR home, accepted her Community Service Award Certificate and pin at the chapter’s Flag Day Luncheon on June 13th. 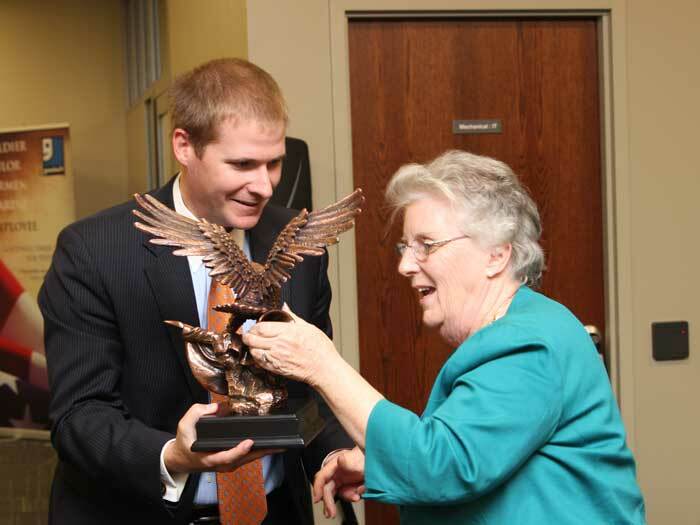 Regent Karen Frels presented the awards. 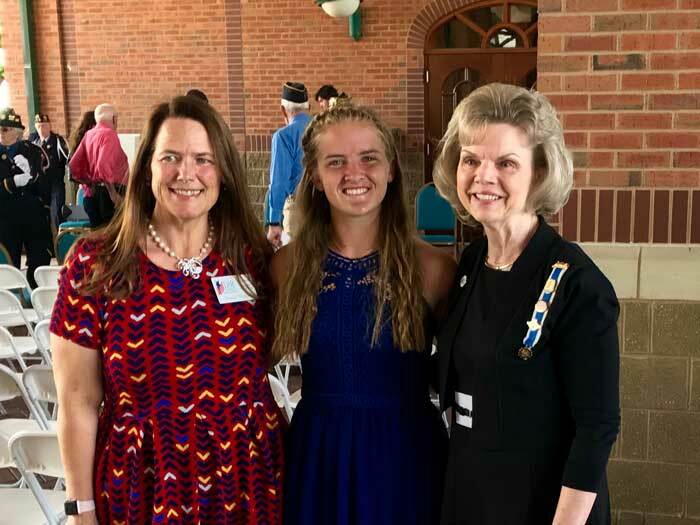 Good Citizen Chairman, Donna Wisher, and Regent Karen Frels are picture with the Peoria Chapter’s Good Citizen Winner and District Good Citizen winner Jessica Beyer. 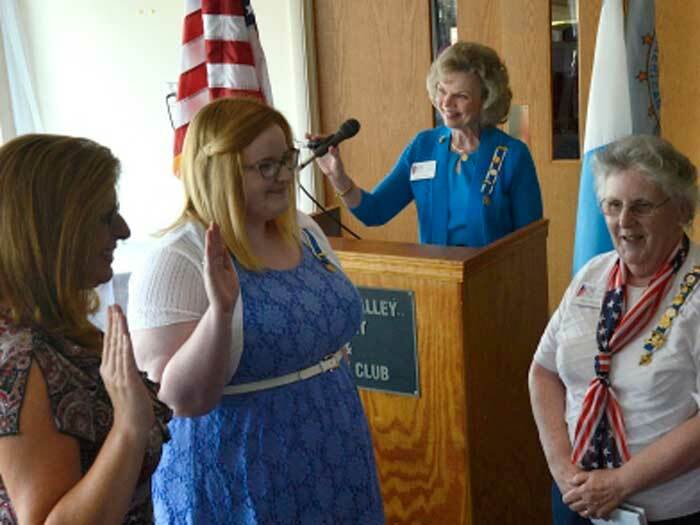 Jessica read her winning entry during the 2017 Memorial Day ceremonies held at the Gateway Building on Peoria’s riverfront. 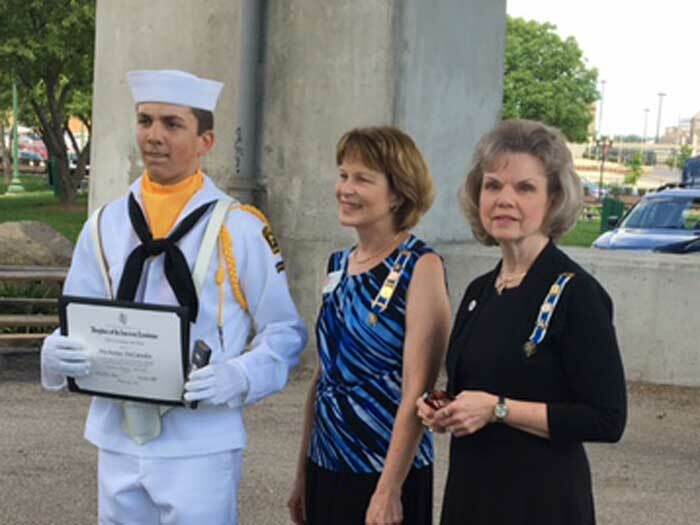 Honorary Chapter Regent and Chair of the National Defense Committee, Susan Bock, and Regent Karen Frels present Navy Sea Cadet, Nicholas DeCandio, with the Sea Cadet Medal and certificate. 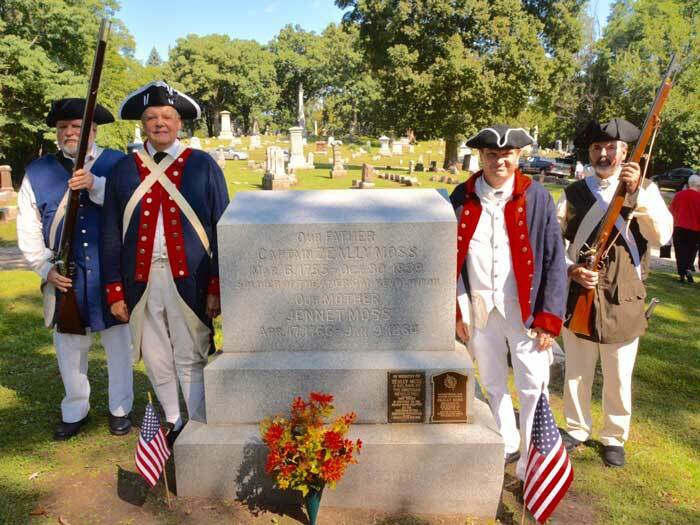 On June 13, 2017 the Peoria Chapter dedicated a memorial plaque for Revolutionary War Soldier, William Crow. 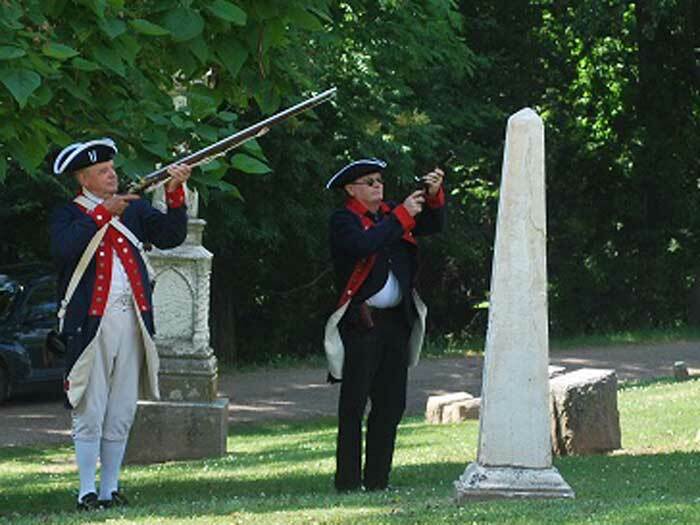 The exact location of his remains is unknown. 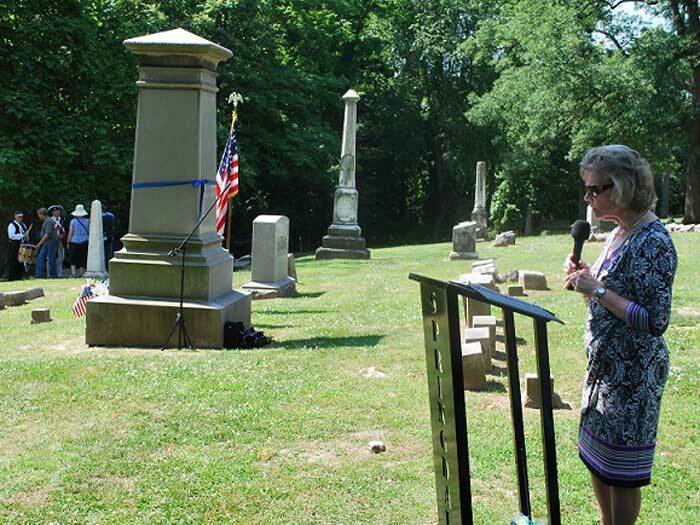 William Crow was born in Rockingham County, Virginia in 1757 and died in rural Peoria County on January 25, 1854. 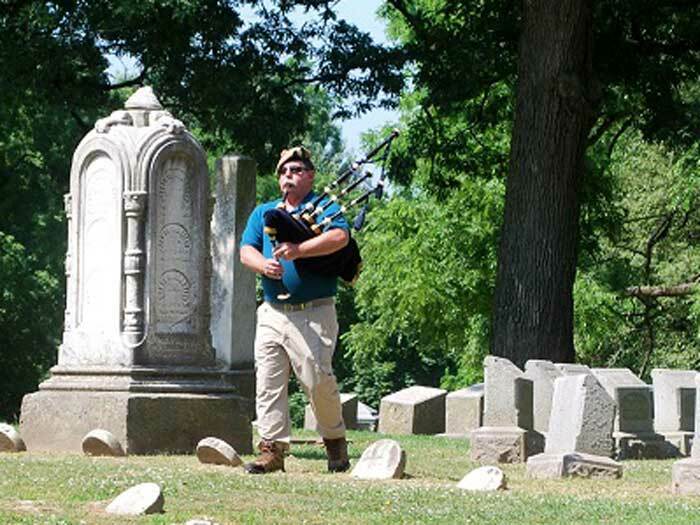 In his obituary, which appeared in the Peoria Journal Star on January 30, 1854, he asked that he be buried with the honors of war. 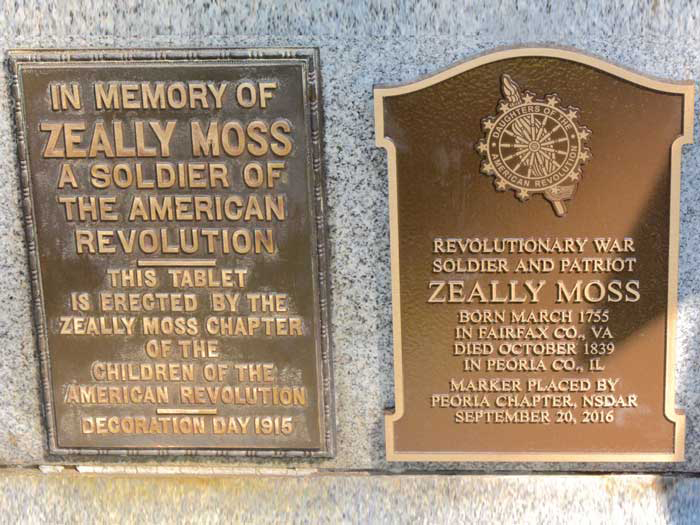 Due to the lack of a military company in Peoria at that time, his dying request could not be granted. 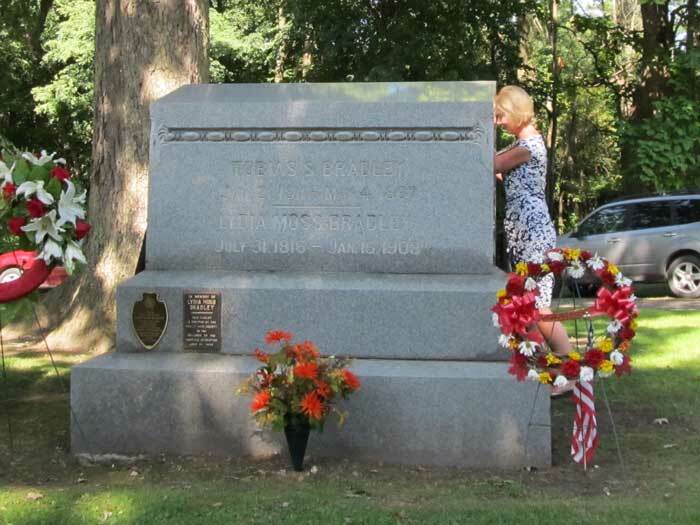 He was buried on a family farm in Peoria County near Pottstown, Illinois. 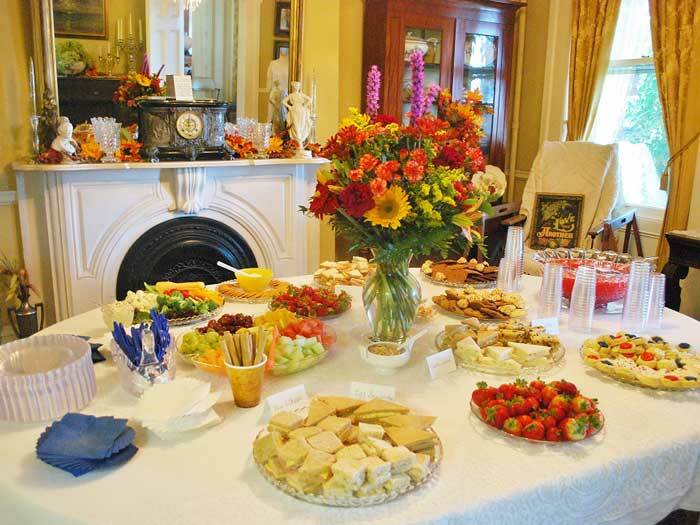 The family farm was eventually sold. 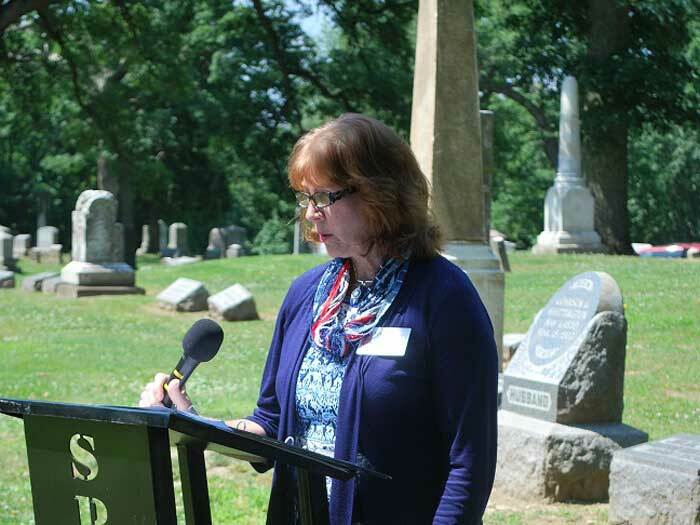 Due to the decaying condition of the tombstones, the new owner removed the headstones and plowed over the ground. 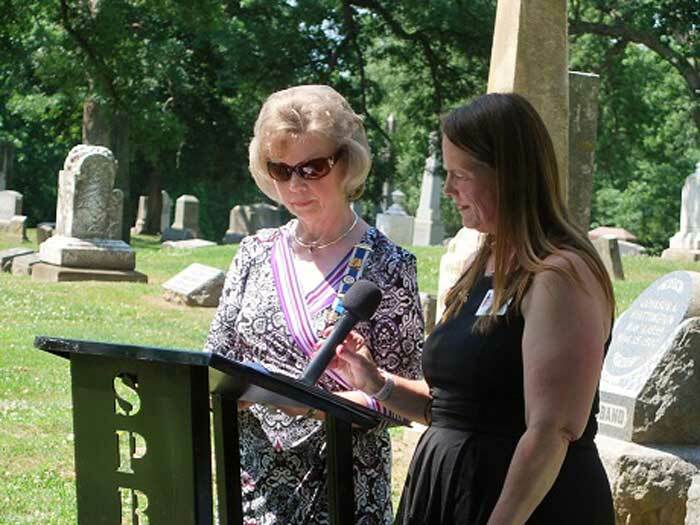 A descendant of William Crow was located and permission was granted for a memorial plaque to be place on the Tripp family plot. 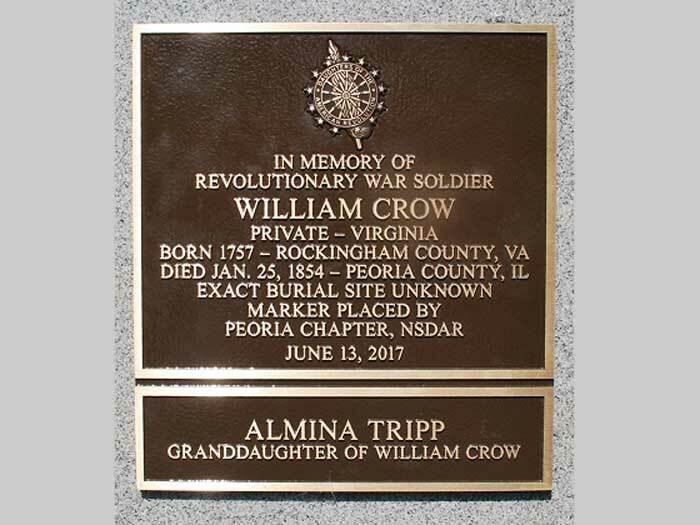 Almina Tripp is the granddaughter of William Crow. 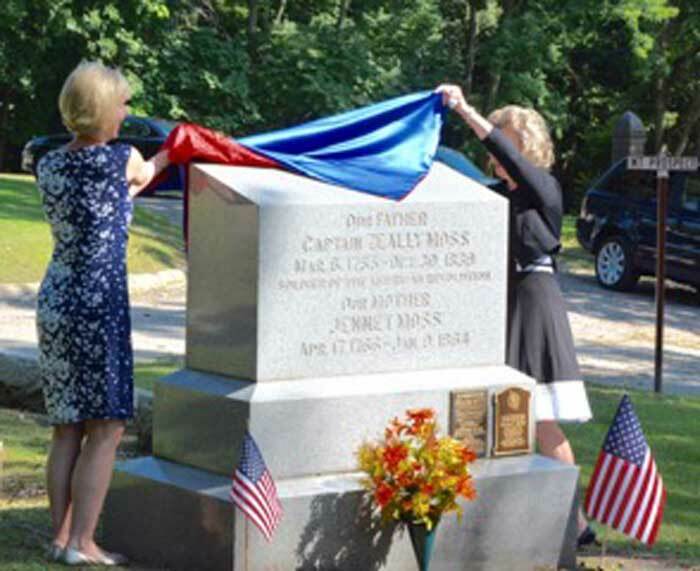 The memorial plaque was placed on the Tripp family monument. 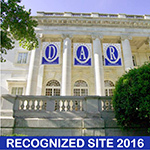 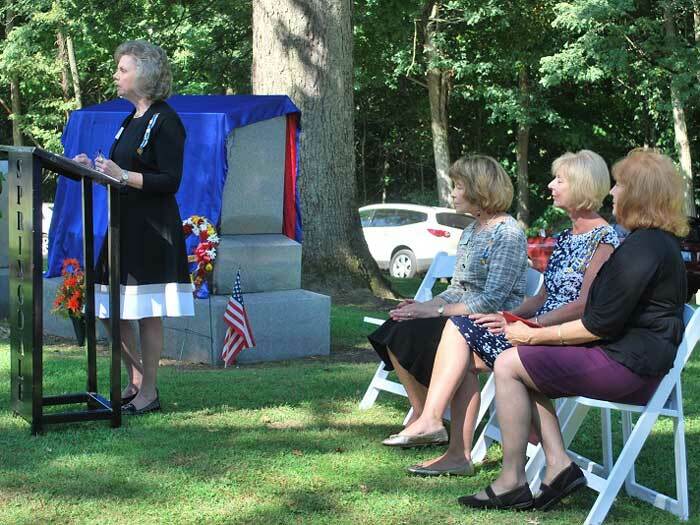 State and local DAR members attended the memorial marking. 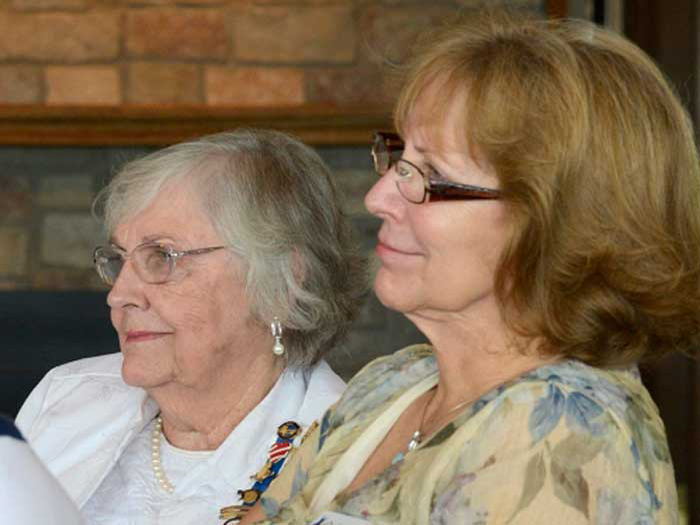 Peoria Daughters gathered to celebrate Flag Day. 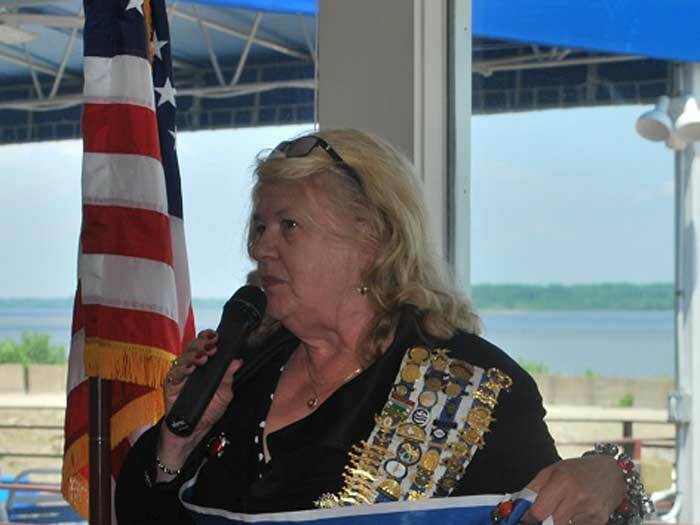 Vice President General and Honorary State Regent, Luanne Bruckner brings greetings to attendees. 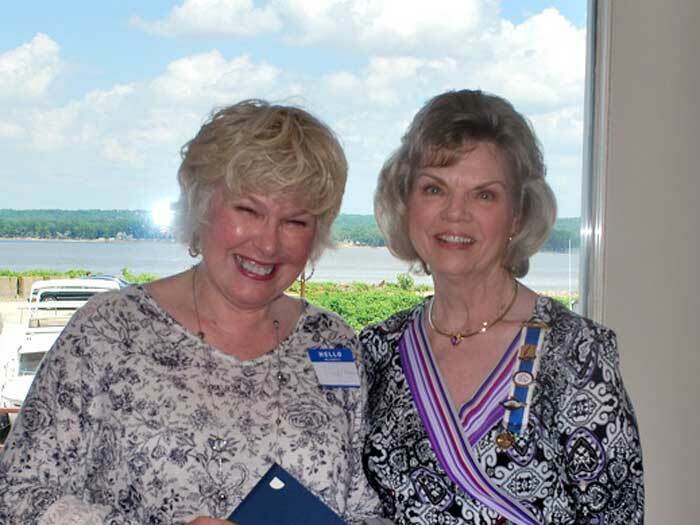 Incoming Chapter Regent, Cynthia Horrie, presents Regent Karen Frels with past regent pin and Linage research chairman, Cynthia Bertino, receives her State Conference Award Certificate for Linage Research. 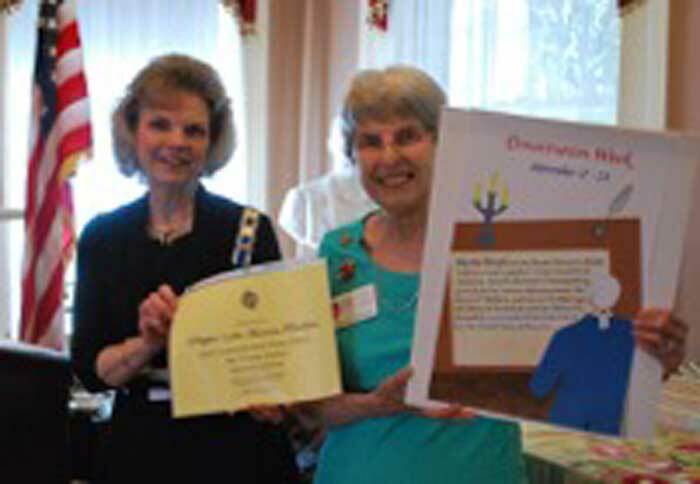 Peoria Chapter member, Virginia Hannon, displays her poster which received National Recognition in the 2016 Constitution Week Poster Contest. 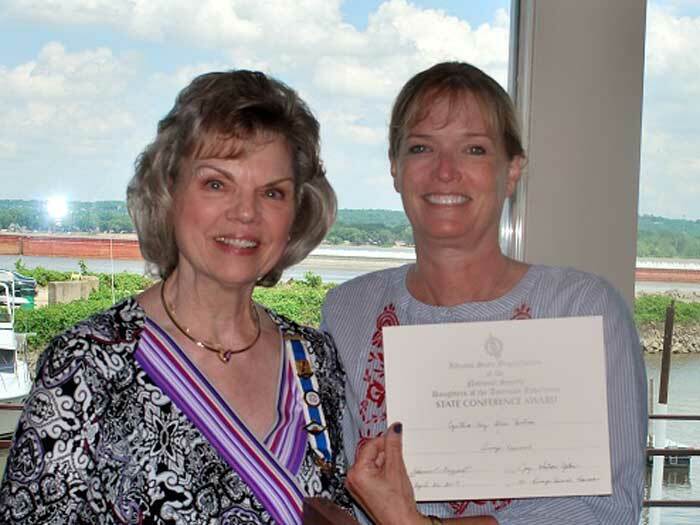 Regent Karen Frels is holding the Honorable Mention Certificate given to Virginia. 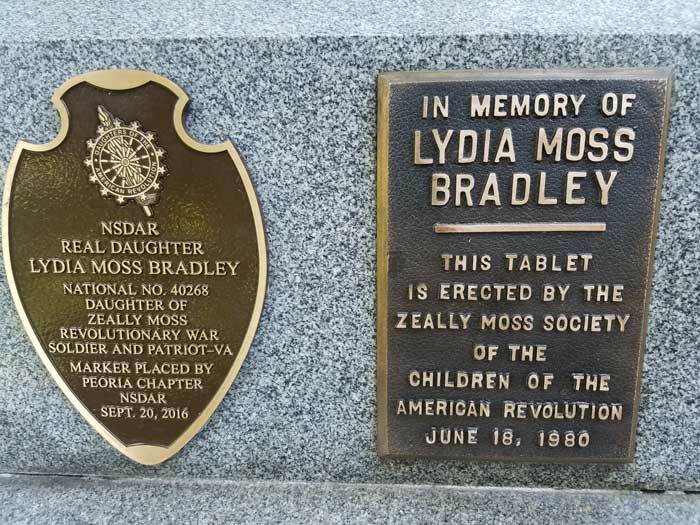 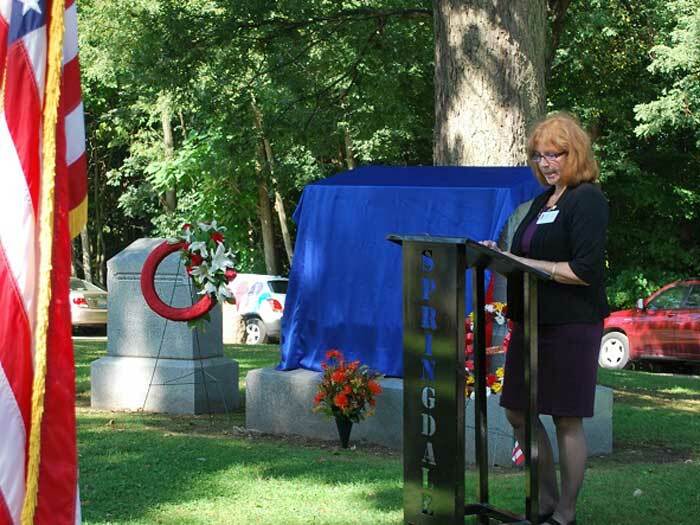 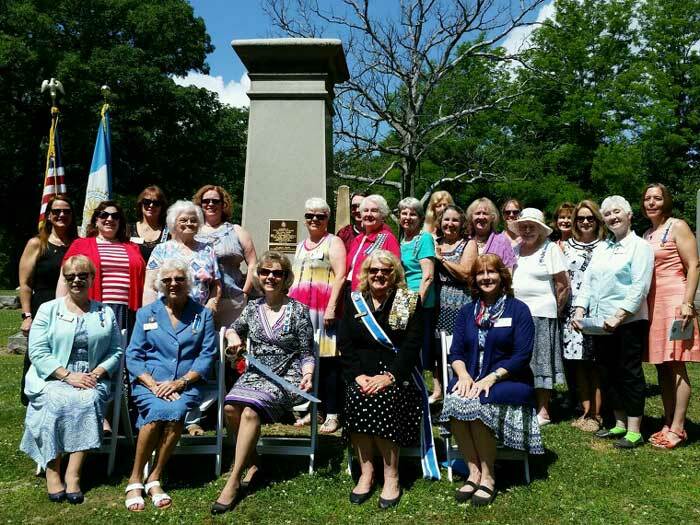 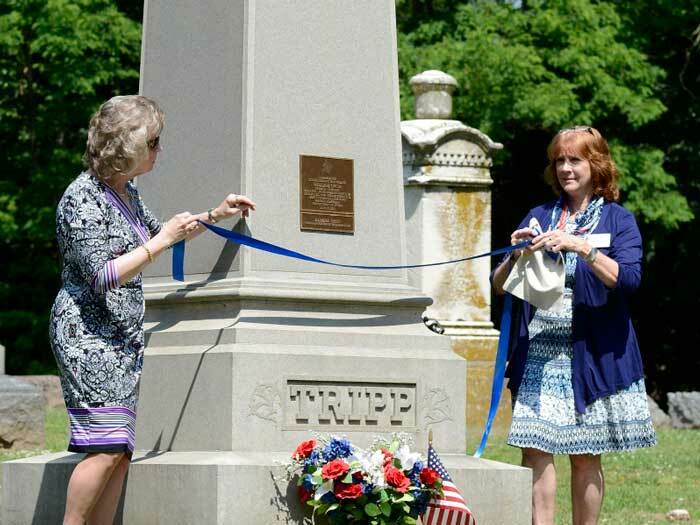 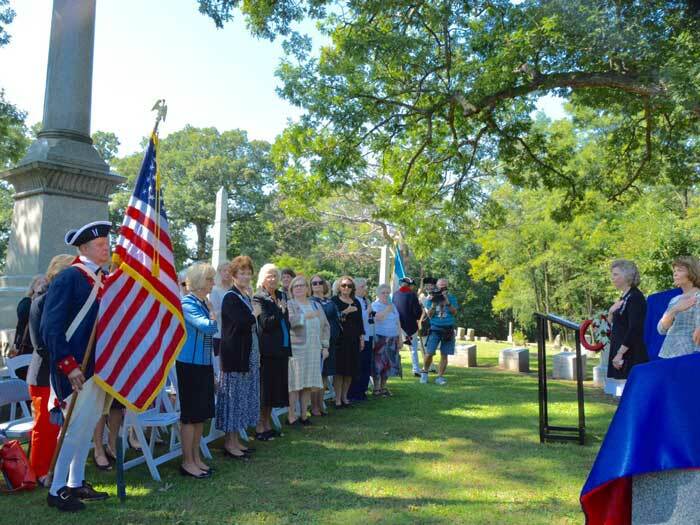 DAR State Members joined with Peoria Chapter daughters on September 20, 2016, to celebrate the DAR marking of the grave of Revolutionary War Soldier, Zeally Moss; and the remarking of the grave of DAR Real Daughter, Lydia Moss Bradley. 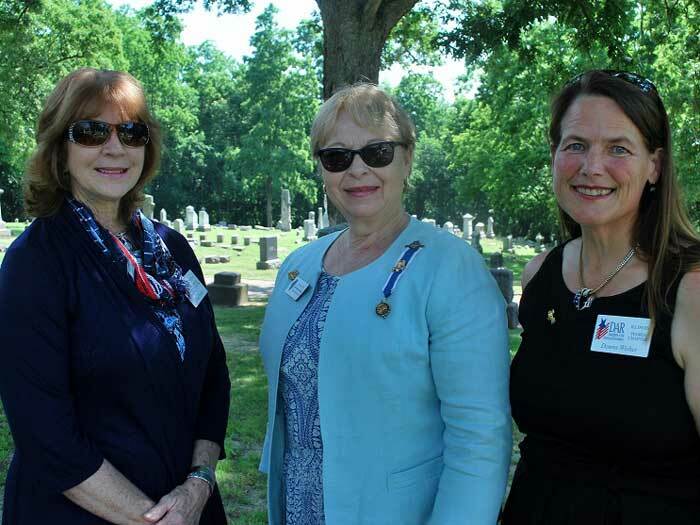 Regent, Karen Frels, hosted the ceremony; and, Peoria Chapter Historian, Cynthia Horrie, delivered an informative biography on Zeally and Lydia. 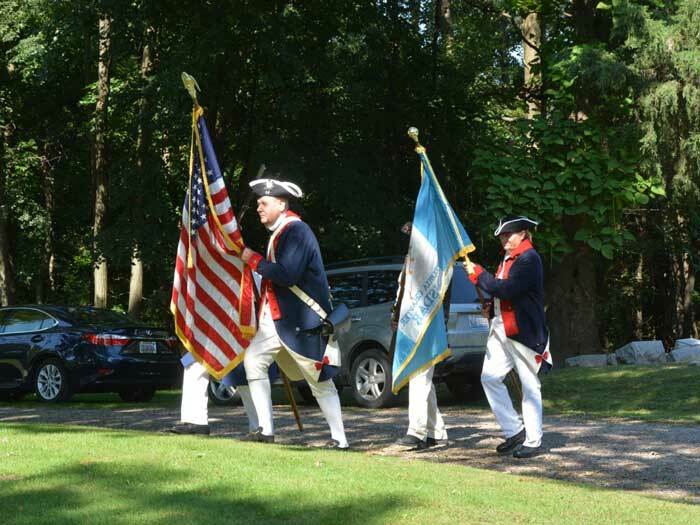 Members of the Captain Zeally Moss Chapter, Sons of the American Revolution, provided the Color Guard. 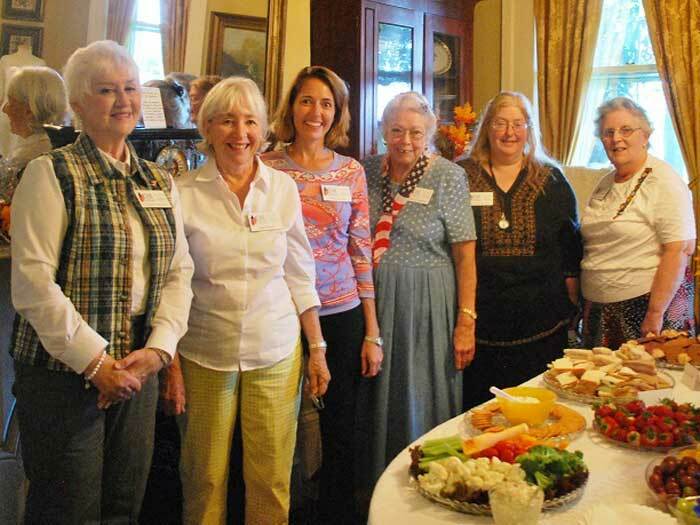 After the markings, everyone was invited back to historic Flanagan House, where a delicious luncheon was served by Peoria Chapter hostesses. 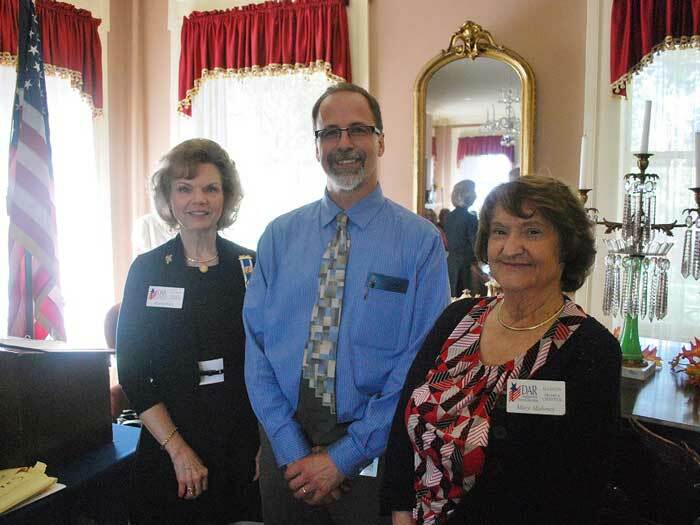 Regent Karen Frels and First Vice Regent Mary Maloney are shown with the guest speaker for the day, Mel Green, from the General Wayne A. 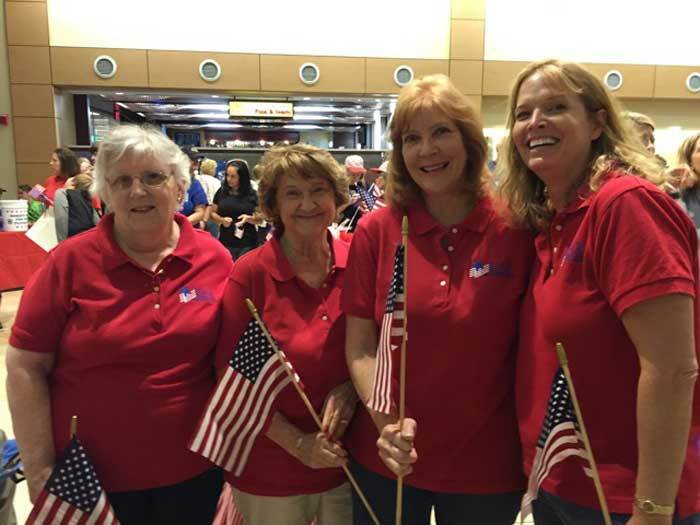 Downing Home for Veterans. 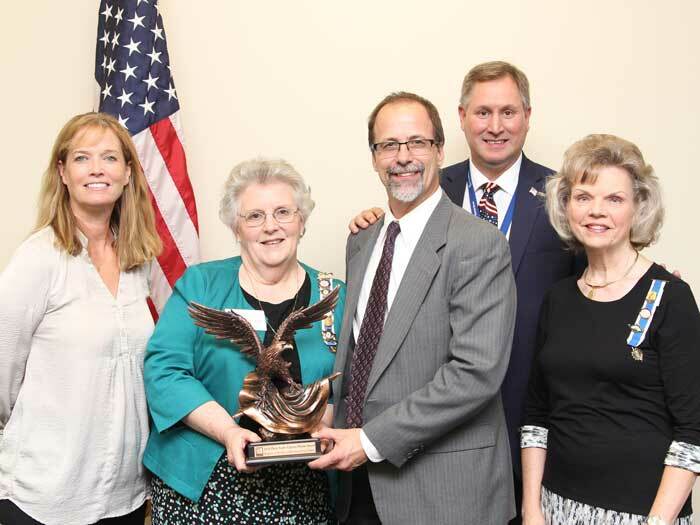 On September 9, 2016, at Goodwill’s Reception of Honor Event, Mary Stewart, chapter chairman of the DAR Service for Veterans, accepted the “Patty Fuchs Citizen Patriot Award” for the Peoria Chapter. 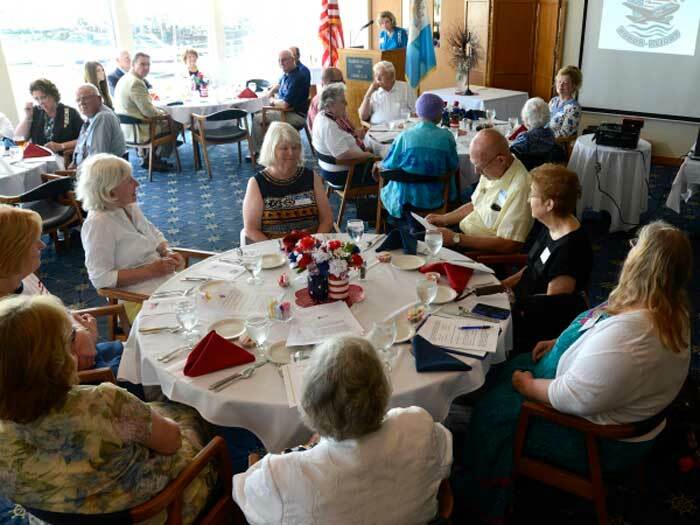 The Peoria Chapter was nominated for its continuous work at the General Wayne A. 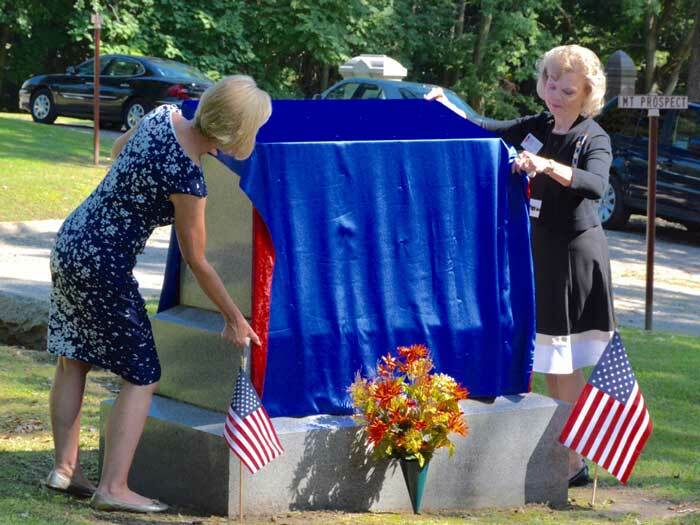 Downing Home for Veterans. 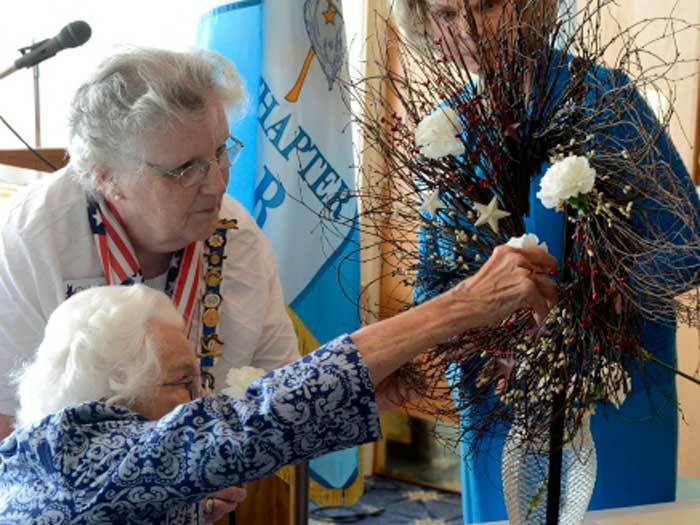 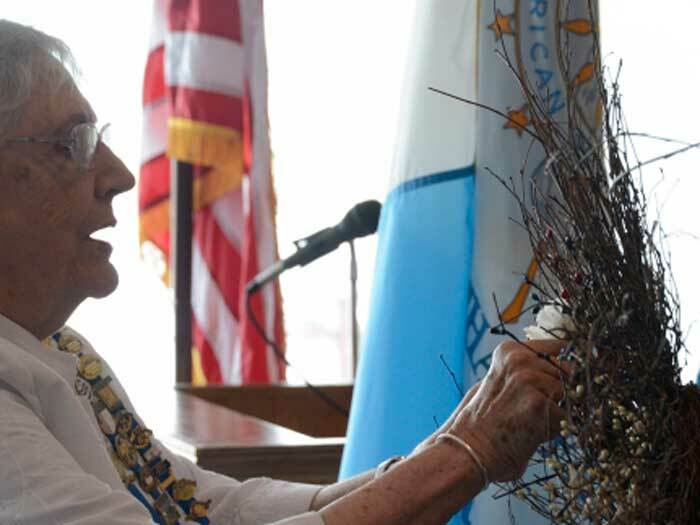 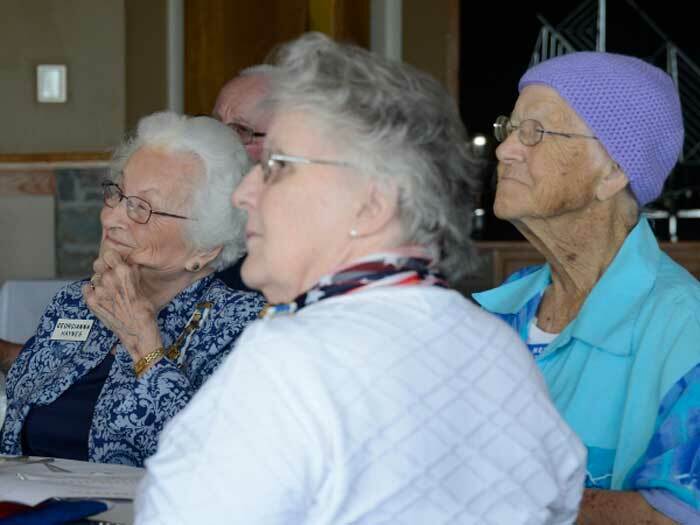 The Peoria Chapter celebrated its 120th Anniversary as Daughters gathered at the Ivy Club for lunch and a program presented by Bob Reed and Eugene Wallace from the Peoria Honor Flight. 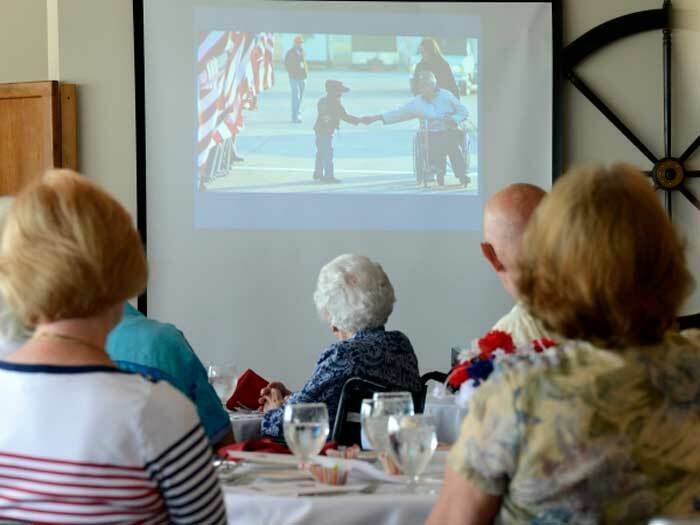 Chapter members watch as scenes of veterans participating in the Honor Flight are shown. 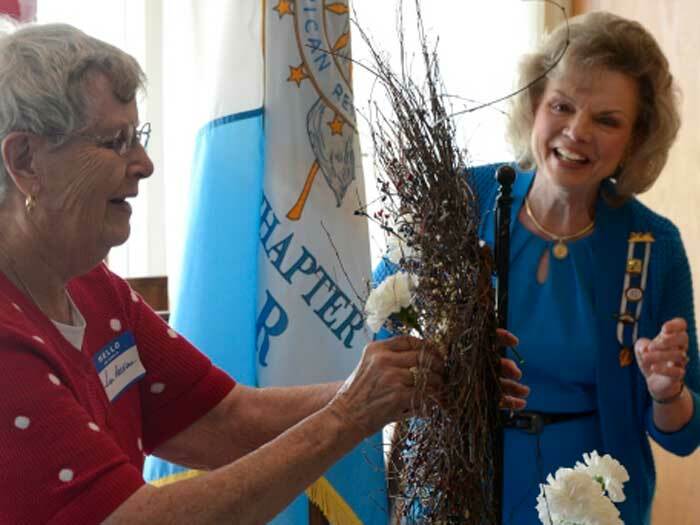 Later in the meeting, honorary chapter regents placed white carnations in a wreath to honor chapter members who had died during the past year. 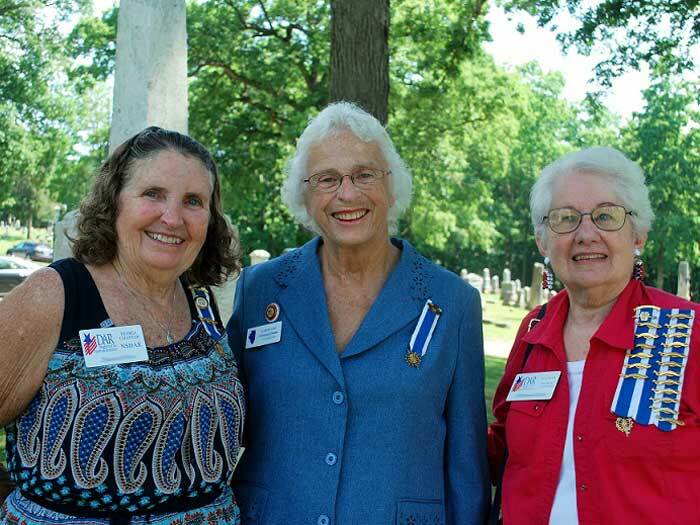 Later that afternoon, Daughters gathered at Constitution Garden in Riverfront Park in Peoria to be part of the City of Peoria’s Flag Day Ceremony. 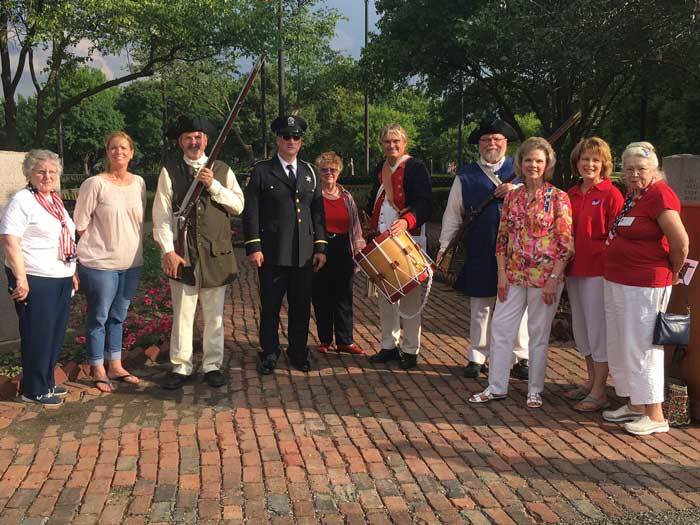 Regent, Karen Frels, delivered a talk on “DAR — Past & Present.” Members of the Captain Zeally Moss Chapter, Sons of the American Revolution, participated in the flag raising ceremony. 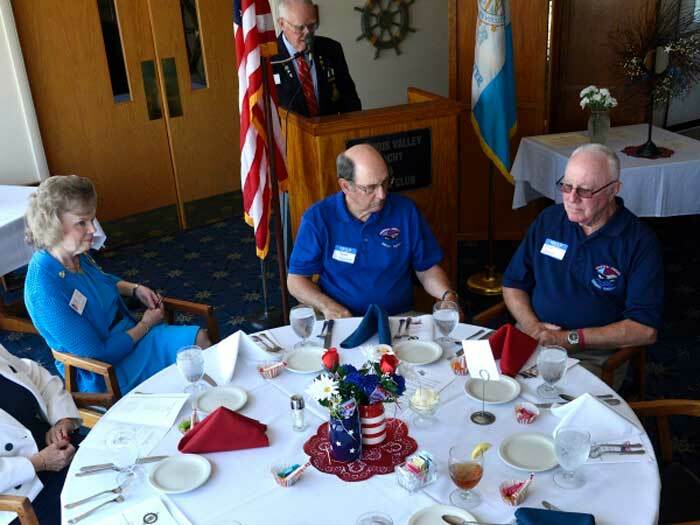 Peoria Chapter members meet at the General Wayne A. 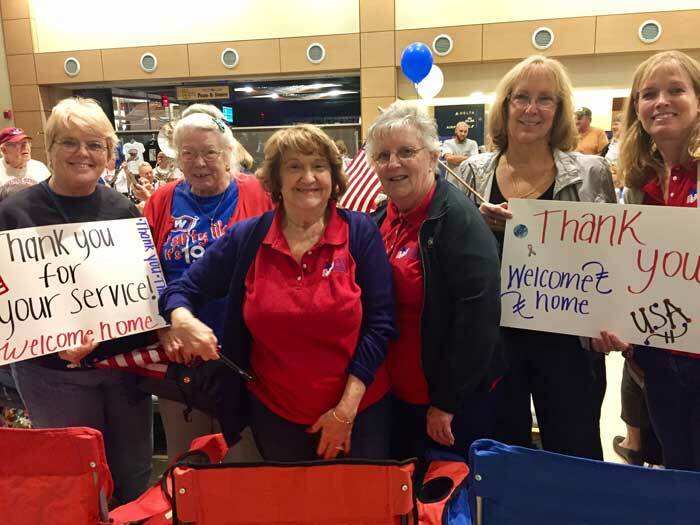 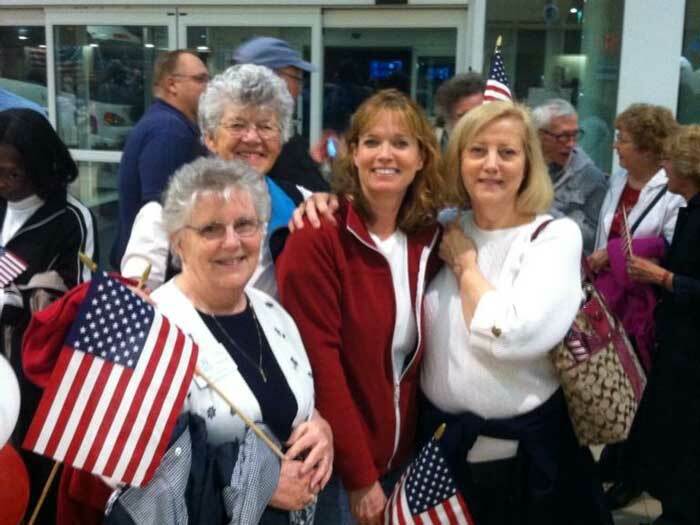 Downing Peoria International Airport to greet veterans returning on each Honor Flight. 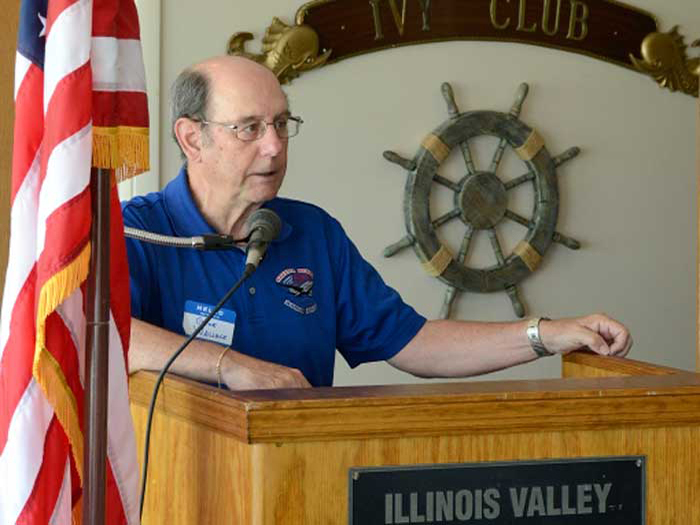 In October, the chapter participates in Goodwill’s Stand Down for Veterans. 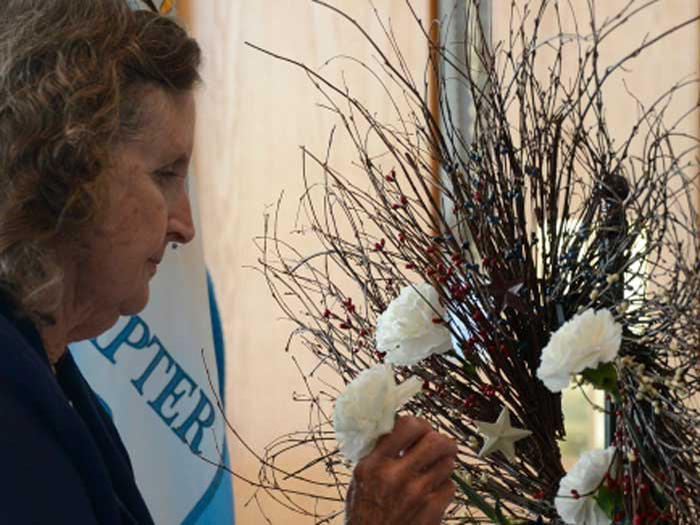 Members of the chapter help sort and package items which will be given to veterans attending the event. 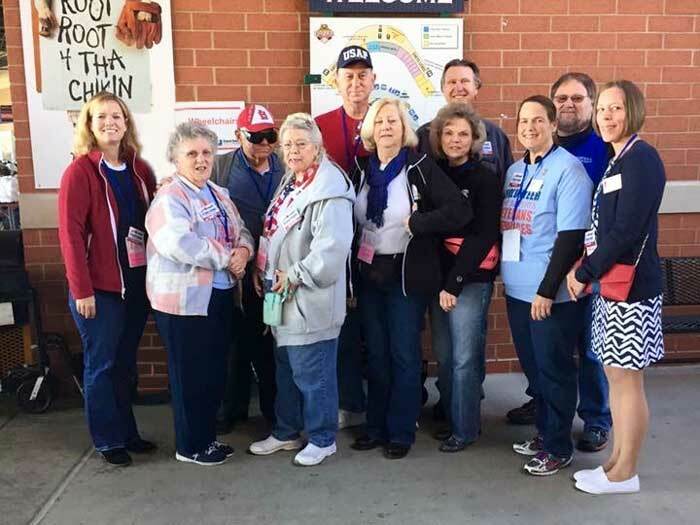 Each year, chapter members and their spouses volunteer to attend the Stand Down, and distribute items. 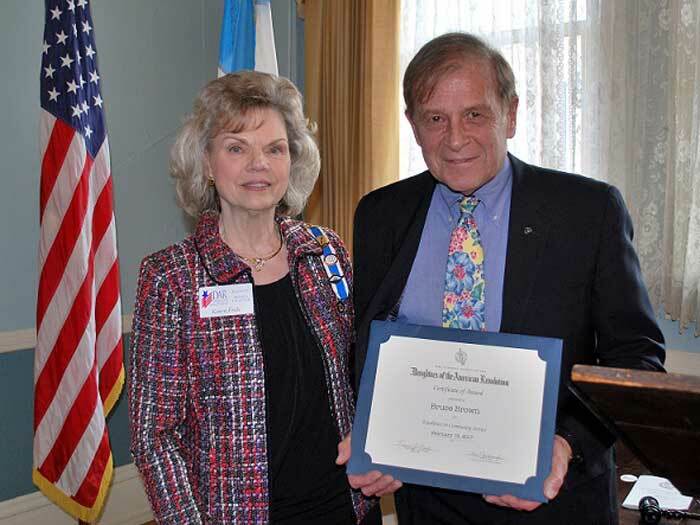 Regent Karen Frels and Registrar Cynthia Bertino present Patrick Horrie, a Recognition of Service Certificate, for his service during the Vietnam War. 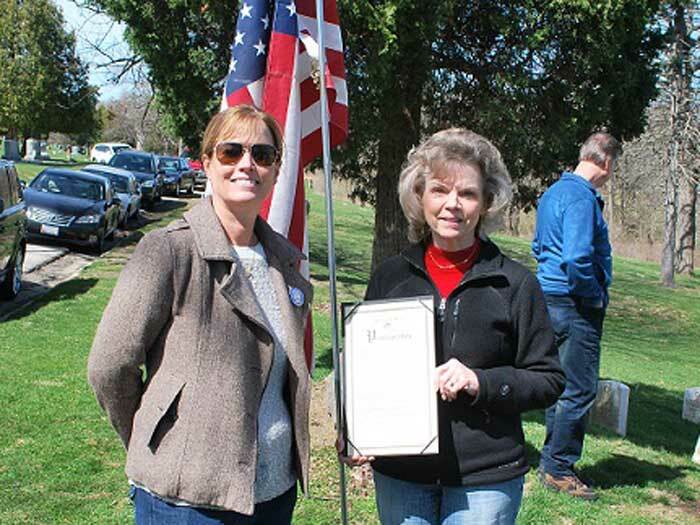 Cindy Bertino, co-chair of the Anniversary of the Vietnam War 50th Commemoration Committee, presents Regent Karen Frels with the City of Peoria Vietnam War Proclamation during the placement of flags on veterans' graves in Springdale Cemetery.